At the top of the mountain, the scenery changes. You’re at the end of the world, surrounded by nothing but white snow. You’re driving a sled pulled by 5 dogs, who incomprehensibly know exactly where they’re going despite having no obvious markers. Occasionally you get a glimpse of the landscape below: shimmering lakes surrounded by snow-capped mountains. The air is crisp and fresh; you know it’s cold but you don’t feel the negative temperatures. All you can feel is the calm that comes with being surrounded by nothing but the pure white snow. You start to understand why people do this for a living. You go up steep hills and down them. You twist and turn, making tracks in the fresh snow. In some places the snow is deep, making uphill climbs strenuous but not work. You get into a nice groove after a few hours. 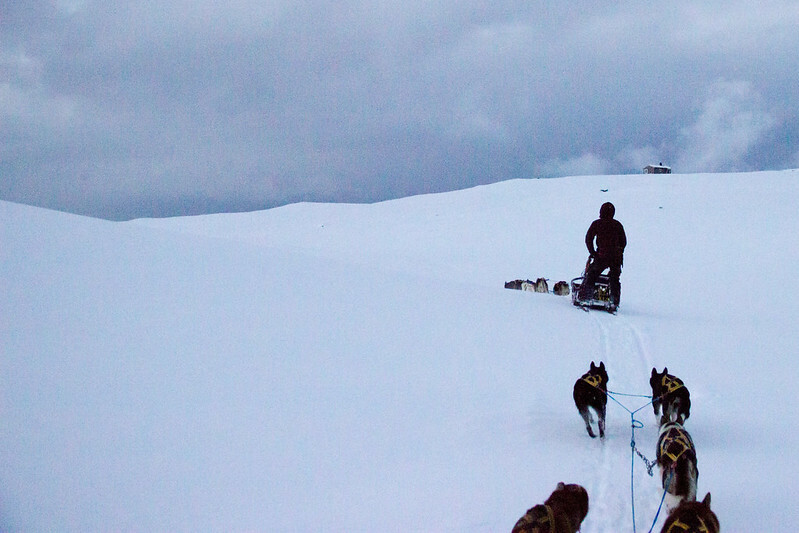 Eventually the dogsledding has to end but you have one more challenge: going down an icy road with a few sharp turns. You put what you’ve learned to use. You take the turns pretty well and safely get to the bottom of the mountain. You thank your dogs for their hard work and take them home. This was one of the best days of your life. 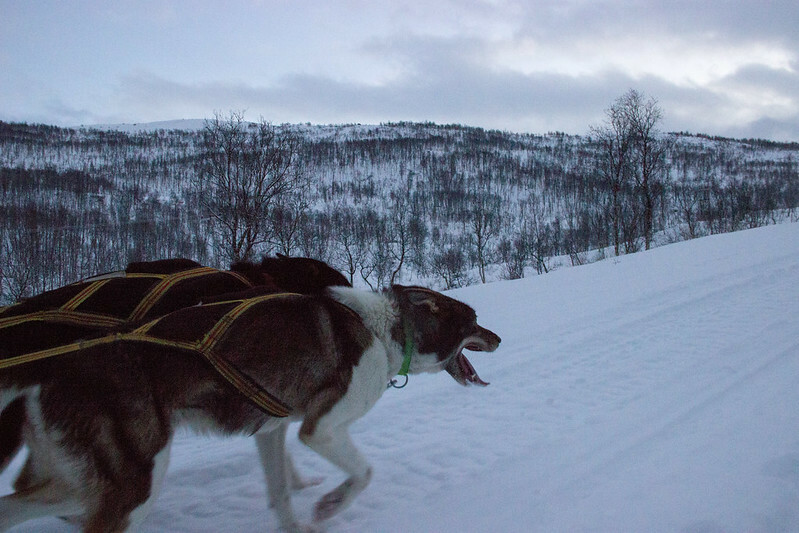 Logistics: we went on a dogsledding trip with ActiveTromso. 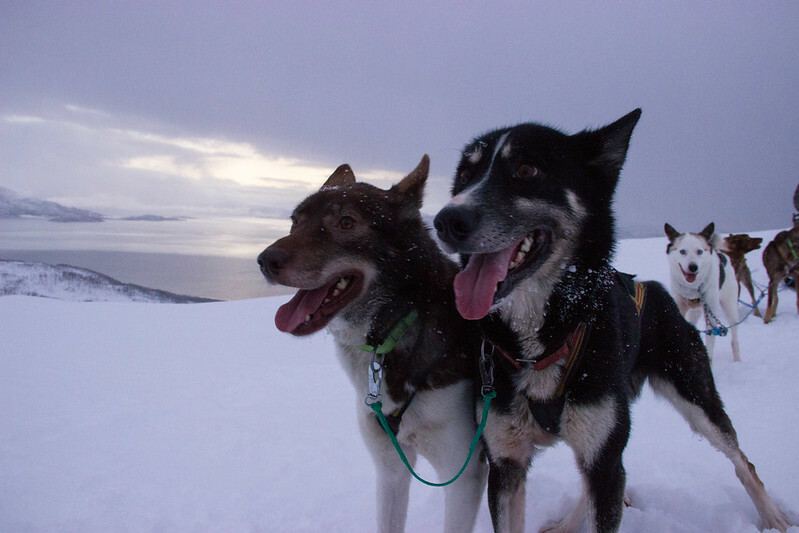 If you are going to tromso and you are in reasonable shape (let’s say work out once or twice a week), I strongly encourage you to go dogsledding with activetromso. They provide you with everything you need to have an amazing time (hats, gloves, warm clothing, and amazingly warm boots). Their dogs are enthusiastic and friendly and our guide, Jurka, kept us all alive and happy. It’s also a once-in-a-lifetime chance to sled with actual racing dogs; the owner Tore participates in Iditarod and multiple dogsledding races per year. So if you’re going to Tromso, put this trip at the top of your list.